Information and data at this URL is provided for informational, educational, technical and research purposes only. It should not be considered as commercial, investment or medical advice. Information presented may include predictions, probabilities, estimates or otherwise that might be considered forward-looking under U.S. law, section 27A of the Securities Act of 1933, as amended, and section 21E of the Securities Exchange Act of 1934. While these forward-looking statements represent our current judgment on what the future holds, they are subject to risks and uncertainties that could cause actual results to differ materially. You are cautioned not to place undue reliance on these forward-looking statements, which reflect our opinions only. Due to the nature of the research agenda, our opinions change often. PLEASE NOTE: If you have, or believe you may have a medical or mental health problem, contact your personal physician or psychologist. Any and all persons administrating, logging in or uploading information to this URL assume no responsibility for how the information provided here is used. The Computer Science and Artificial Intelligence Laboratory seeks to invent the future of computing and explore novel applications, enabling solutions to important national and global challenges. CSAIL articulates compelling interdisciplinary research visions for computing, invents fundamental new technologies, conducts basic research activities that strengthen the state of the art, and inspires and educates future generations of scientists, technology leaders, and the public. CSAIL is an innovative, passionate community that both drives the future of computing and harnesses its remarkable power. By mediating dissociate experiences, the Internet can challenge the boundaries of people’s sense of self-worth, trust, relationships and ultimately, ones physical identity. To illustrate this hypothesis, a case of dissociate identity disorder (DID) is presented. A young partially-employed woman with low self-esteem,social withdrawal, anxiety and emotional turmoil, lack of social skills and self confidence, and common eating disorders within her physical environment adjusted her personality and character within virtual online forums. For more than 6 years she spent up to 12h a day in the Internet, assuming a normal and outgoing personality but reverted to her negative physical self within standard transition duration. During the course of an inpatient neurocognitive psychotherapeutic treatment, the clinical diagnosis of DID was confirmed by psychometric testing. After 48 weeks of psychotherapy, the patient had managed to identify her fragmented identities as character traits and integrated them into her core personality. She rearranged her real everyday life, found a new job, and is able to extend transition duration up to a max. of 8 hrs. before slipping into her previous state. Even though the patient’s psychopathology stems from a disposition in terms of a personality disorder with histrionic and narcissistic features, excessive virtual exposure obviously functioned as a trigger to develop DIS. Conclusively, cyberspace’s anonymous interactivity may offer the possibility to explore one’s identity while also putting at risk its coherence. The combination of big data and social networks creates high-quality knowledge technologies and networks around the world. However, leaders and communities fail to use them to address the grand challenges of the 21st century. A small number of powerful entities create and control advanced analytics that turn information into knowledge. Most people lack access to these sophisticated tools for making sense of the ever-increasing reams of information. Visionary leaders facilitate the creation of a highly integrated global knowledge network that is accessible to all. The network combines advanced analytic frameworks and human expertise to create high-quality knowledge, and increasingly wisdom, for alleviating global challenges. Rising unemployment and shifts in societal expectations undermine traditional organizational structures, pushing most associations and many other organizations to the brink of extinction. However, a handful of these associations reinvent themselves as networks of autonomous entities united by a common purpose. Ever since 1965, when Gordon Moore made his famous prediction about the doubling of transistors every 18 months or so, technology has advanced at an orderly pace. Engineers have been able to predict, with a high degree of certainty, what would be possible in the years to come. Now, however, Moore’s famous law is coming to an end and is unlikely to advance past the year 2020. Researchers are working hard to squeeze more life out of the old technology by coming up with new designs, like 3D stacking and FPGA chips, but that will only take us so far. We need to develop fundamentally new computing architectures.Two such architectures are in advanced stages of development. The first, quantum computing, uses quantum effects, such as super-positioning and entanglement, to create computers that have the potential to be millions of times more powerful than those of today. The second, neuromorphic chips, mimics the design of the human brain, which is a billion times more efficient than current computing technology. Commercial deployment of these new architectures is still a few years off, but there are already working prototypes for them. Within ten years, we can expect them to completely transform what computer technology can do and how virtual reality (VR, ER, and RR) replace a majority of our experiences, learning and physical lives. 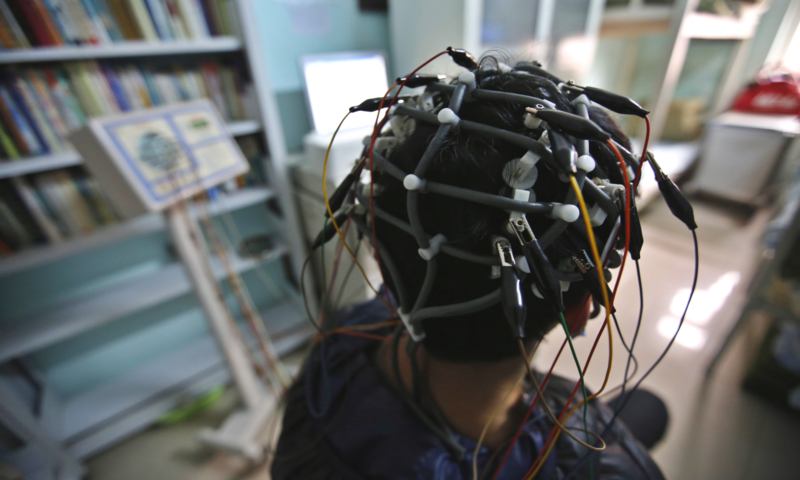 New areas of research include braintech, wetwear, bio-implants and remote neurocontrols. When the human genome was first decoded in 2003, it cost $3 billion. By 2031, we can expect sequencing of a full human genome to cost under $100. That exponential reduction in cost, in turn, will create new worlds of possibility. We’ve already seen enormous impacts from genomics in medicine, especially cancer treatment, where we’ve started to treat tumors based on their genetic makeup rather than the organ in which they are found, like the breast or the prostate. By 2031, these techniques, along with other new treatments, like immunotherapies which help the body’s own defense to fight tumors, will make cancer a highly treatable disease. A related technology, called CRISPR, allows the precise editing of genes and will allow us to engineer synthetic organisms that will act as cellular factories. By inserting the right genes in microorganisms like bacteria and algae, we will be able to create a variety products, including those now made from petroleum, like plastics. Back in 1959 (when I was born), when the physicist Richard Feynman came up with the idea of nanotechnology – engineering at the atomic level – it seemed like science fiction. Today, it has become a reality, with new atomic scale materials like graphene and quantum dots unlocking completely new possibilities. The future applications for nanotechnology are too numerous to list here. One particularly exciting area, however, is materials that are programmable at the molecular level. This is still a field in its infancy, but by 2031 we may be able to download new designs for physical products in very much the same way we download software today. Another transformative application, which Feynman envisioned in his original talk, is nanoscale medicine. By working with devices smaller than the width of a human hair, doctors will be able to target individual cells for treatment, making procedures far more effective and less invasive. By 2031, we can expect nanorobots to be injected into our bloodstream and seek out cancer cells, pathogens and even specific cells for repair. One of the most overlooked trends over the past 40 years has been the advancements in energy storage. Lithium-ion batteries, first developed in 1970, have continuously improved in both energy density and cost. To understand the impact of these advances, consider the fact that the battery takes up 90% of a laptop’s weight and volume. Now imagine that battery six times larger. Clearly, the mobile revolution would be impossible without the smaller and cheaper batteries we have today. Renewable energy sources, like wind and solar, will also need to be paired with more efficient batteries, to power us through the times when the sun isn’t shining and the wind isn’t blowing. Yet like Moore’s law, Lithium-ion batteries are nearing their theoretical limits and researchers are working hard to identify a replacement technology. Another area of rapid advancement is robotics and bionics. In the past, robots were almost exclusively used in heavy industrial applications, where they were kept far away from humans for safety purposes. Today, however, robots are beginning to work alongside humans, especially on the battlefield, but in factories as well. By 2031, we can expect robots to take a much larger role in daily life. Made of lighter, stronger materials made possible by nanotechnology and powered by neuromorphic chips running advanced deep learning algorithms, they will interact with us in a very natural, almost human-like way. What will be most interesting about the next 15 years is that unlike the last 15, which was largely defined by digital technology, the advancements to come will arise from the confluence of a number of fields. Exponentially more powerful computing architectures will make it possible for us to work at the genomic and molecular levels and create intelligent machines. New sources of energy, as well as the ability to store that energy far more efficiently, will allow these technologies to be practical, safe and affordable. Just as humans simultaneously tap multiple senses to learn and gather information about their surroundings, multimodal analytics use advanced sensor technologies and machine learning to integrate information from multiple types of data streams, such as audio, video and keystroke data. These techniques will lead to assessments that measure human performance based on rich data captured automatically in environments designed to simulate natural settings. Multimodal analysis can also provide evidence of each citizens’ emotional states, such as boredom and frustration. Researchers are interested in whether it is possible to use such clues to adapt assessments in order to help citizens perform their best and thus improve the accuracy of the measurement. To achieve these goals we are exploring new forms of assessments that involve automated analysis of speech and video to track verbal and non-verbal behaviors. Similar to CCTV for external monitoring, new technologies will provide internal monitoring to increase awareness, knowledge retention, environmental comprehension for increased well-being and intelligence.